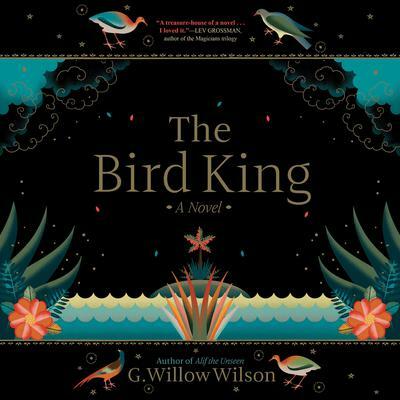 From award-winning author G. Willow Wilson, The Bird King is an epic journey set during the reign of the last sultan in the Iberian peninsula at the height of the Spanish Inquisition. 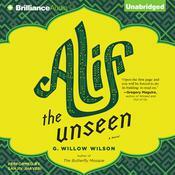 G. Willow Wilson’s debut novel Alif the Unseen was an NPR and Washington Post Best Book of the Year, and it established her as a vital American Muslim literary voice. Now she delivers The Bird King, a stunning new novel that tells the story of Fatima, a concubine in the royal court of Granada, the last emirate of Muslim Spain, and her dearest friend Hassan, the palace mapmaker. Hassan has a secret―he can draw maps of places he’s never seen and bend the shape of reality. When representatives of the newly formed Spanish monarchy arrive to negotiate the sultan’s surrender, Fatima befriends one of the women, not realizing that she will see Hassan’s gift as sorcery and a threat to Christian Spanish rule. With their freedoms at stake, what will Fatima risk to save Hassan and escape the palace walls? As Fatima and Hassan traverse Spain with the help of a clever jinn to find safety, The Bird King asks us to consider what love is and the price of freedom at a time when the West and the Muslim world were not yet separate. 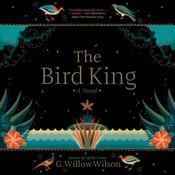 G. Willow Wilson’s debut novel Alif the Unseen was an NPR and Washington Post Best Book of the Year, and it established her as a vital American Muslim literary voice. Now she delivers The Bird King, a stunning new novel that tells the story of Fatima, a concubine in the royal court of Granada, the last emirate of Muslim Spain, and her dearest friend Hassan, the palace mapmaker. Hassan has a secret―he can draw maps of places he’s never seen and bend the shape of reality. When representatives of the newly formed Spanish monarchy arrive to negotiate the sultan’s surrender, Fatima befriends one of the women, not realizing that she will see Hassan’s gift as sorcery and a threat to Christian Spanish rule. With their freedoms at stake, what will Fatima risk to save Hassan and escape the palace walls? As Fatima and Hassan traverse Spain with the help of a clever jinn to find safety, The Bird King asks us to consider what love is and the price of freedom at a time when the West and the Muslim world were not yet separate. G. Willow Wilson was born in New Jersey in 1982 and raised in Colorado. She is also the author of a memoir, The Butterfly Mosque, and the critically acclaimed comics Air and Vixen. She divides her time between Cairo and Seattle.